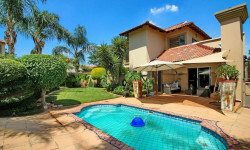 Roodepoort is actually a city of its own, although it has now merged with the suburbs of Johannesburg to such a degree, there is barely a discernable line over which you cross, other than a sign on the side of the road indicating that you have now entered the valley. Roodepoort (meaning “red valley” in Afrikaans after the red soil found in this area) is now a mix of residential suburbs, agricultural holdings, mining in the south of Roodepoort and some commercial activity in the form of Westgate, Constantia, Laser Park and Clear Water Mall. The suburbs here have names like Allen’s Nek, Fleurhof, Helderkruin, Florida, Honey Hills, Radiokop (radiohead - to do with a radio mast, not the home town of the famous band), Wilgeheuwel, and Little Falls, which used to be a waterfall way out of town ‘in the sticks’, but has been absorbed into the incredible residential sprawl that has enveloped almost every piece of available land in Johannesburg. However, Little Falls does lay claim to the only epiphyllum nursery in the country. The centre of Roodepoort is probably best avoided, although there are a few fine examples of historic buildings such as the Old House on the corner of 3rd Street and Boundary Road and the old municipal offices in Berlandina Street. 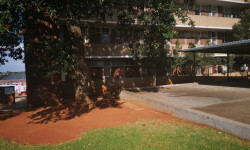 Roodepoort is probably best known by Jo’burgers as home to the Walter Sisulu Gardens, formerly the Wits Botanical Gardens and the city’s most famous botanical garden. It’s a hive of activity over weekends, and a beautiful way in which to get close to nature in the city. 329 Jorrison Street, Monument, Krugersdorp 1739.